Allison Baden-Clay's three daughters to receive $800,000 insurance payout. Allison Baden-Clay’s three daughters will finally receive the $800,000-plus payout from the murdered Brisbane mother’s life insurance following a Federal Court ruling. During a brief hearing in Brisbane on Monday, Justice Alfred Dowsett determined the sum of Ms Baden-Clay’s policies would be included under the control of her father, her estate’s executor, and kept in a trust for her children. 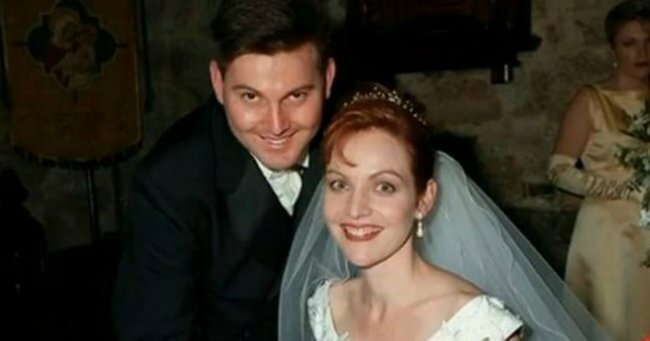 The Brisbane Supreme Court ruled in February that Ms Baden-Clay&apos;s murderer and the father of her children, Gerard Baden-Clay, had no right to her estate because of his conviction, despite being a beneficiary of her will. Ms Baden-Clay&apos;s children are being cared for by her parents, Priscilla and Geoffrey Dickie. They took full control of her estate, which includes a life insurance payout and superannuation, after making an uncontested application in the Brisbane Supreme Court in February. "Gerard Robert Baden-Clay is not entitled to obtain or receive any benefit that he would have otherwise obtained or received arising from the death of the deceased," Justice Peter Applegarth concluded during that hearing. However, the Federal Court was required to formally rule on whether the life insurance policies could be considered part of the $1 million estate. Sarah Ferguson and Andrew a former abuser talk about Domestic Violence in Australia. Post continues below. Baden-Clay, 46, had tried to claim his wife&apos;s insurance policies soon after her body was discovered in a creek bed in Brisbane&apos;s west in April 2012. He was found guilty of her murder in July 2014 and sentenced to life in prison with a non-parole period of 15 years.